Many colors are trending this F/W, but there is one color that has been off the radar among the masses (maybe for personal reasons), that upcoming star is Orange! Perhaps many people are under the impression they cannot pull off a shade of orange because of the tone of their skin or hair! maybe some people have a personal dislike toward the rich color! for whatever reason, we need to start looking at Orange with a new and fresh perspective because it is very much a trending color now! The hottest shades of orange are two polar opposites, a vibrant citrus tangerine or a gentle burnt orange. this is actually perfect for those who aren’t keen on orange, you have two choices to suit your personal preference! think of the colour orange as working overtime now heading into winter, since it was a popular colour during the summer as well. when pairing other colours with orange try to go for neutrals like black or beige! 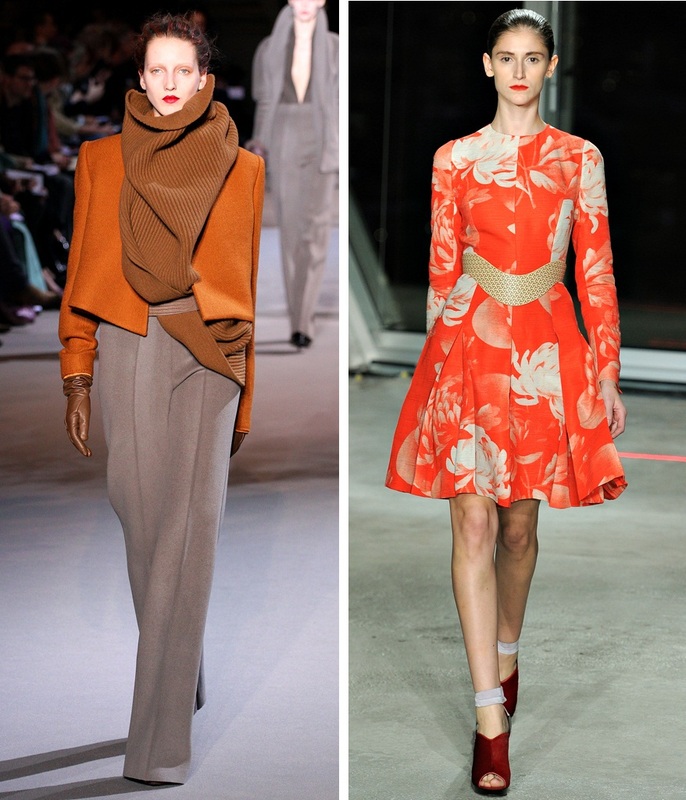 if you want to go for a very vibrant fashion forward look try pairing orange with a deep red or fuchsia! orange is actually a very natural colour to choose, its reflected in the natural elements such as fallen leaves, the sun, various fruits etc. orange is a colour you seen very often in the natural world and should be given a more serious thought and approach. orange isn’t just playful colour, it’s very chic too. it’s a very easy to wear colour when you use it as a pop piece in your outfit such as a tailored coat. just avoid wearing orange head to toe and you wont go wrong! and remember, colours are literally seasonless and colours are for everyone! don’t always assume some make you look washed out or frumpy etc, you need to have a positive mindset and figure out how to work it! don’t let a colour work you, you can wear anything in confidence!